There’s Snow One Like You is an interesting texture polish. I don’t think I would wear it on it’s own as a full mani, but if you are into nail art – this would be perfect for snowy accents. My boyfriend saw it and said it looked like I sprayed the fake snow onto my fingers. I used 2 coats for this photo. I did a side view to show the texture as well. Definitely different and very wintery! I am missing one of the shades in this collection which is Santa Red My List. I plan on picking it up this weekend and as soon as I do I will have it up to show you! 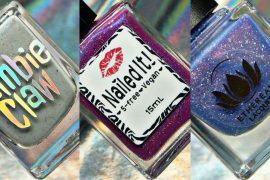 My Top Picks: Just Be-Claws, So Blue Without You, Travel in Colour, Mingle with Kringle and Put A Bow On It. 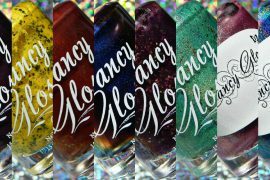 Availability: The China Glaze® Happy HoliGlaze collection will be available in November 2013 at fine salons and beauty supply stores nationwide. China Glaze® is free of DBP, toluene, and added formaldehyde. 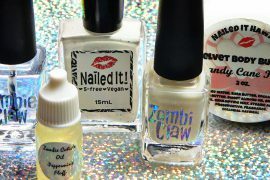 You can also get these polishes in a variety of seasonally inspired gifts! 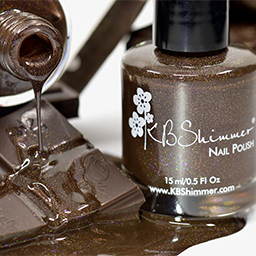 These would be perfect stocking stuffers for the polish lovers in your life! For more information, please visit www.chinaglaze.com or follow China Glaze® on Facebook (@ChinaGlazeOfficial), Twitter (@ChinaGlaze), Pinterest (pinterest.com/chinaglaze) and Instagram (@ChinaGlazeOfficial). LOL! Nick looked shocked when I said I didn’t get those when I was a kid! Love all those glitter shades, they are perfect for the hoiday! They did an amazing job with the glitters in this collection! 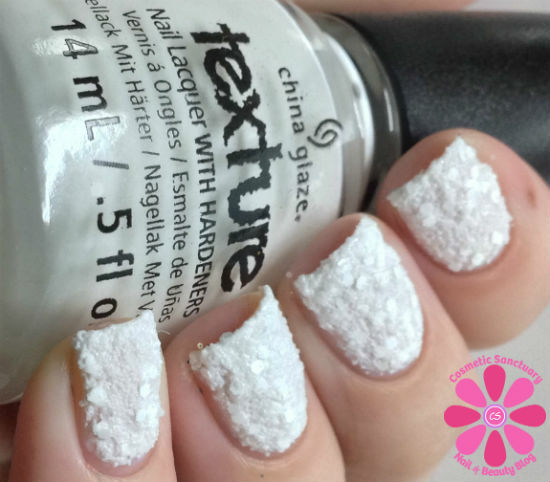 That textured white is so interesting and I agree, great for nail art! I love the finish on So Blue Without You, too!!! 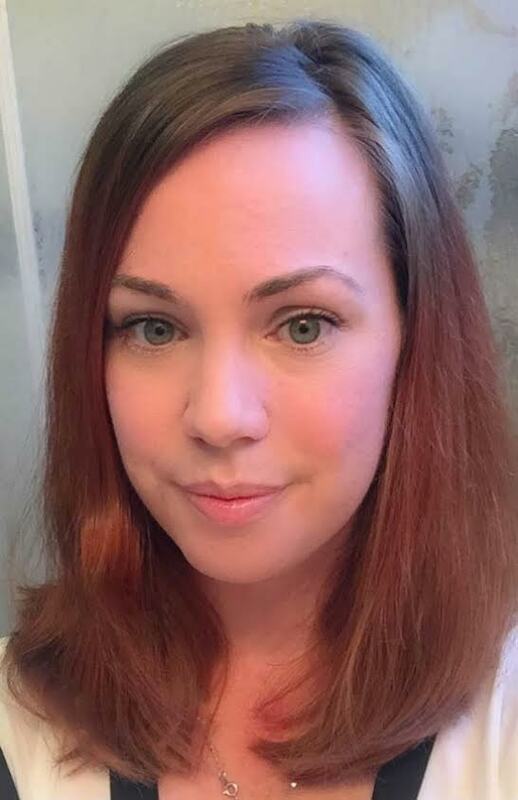 Yeah it’s a little different! Can’t wait to try it with nail art! Be Merry be Bright is gorgeous with Elfin around on top. I also like the texture of There’s Snow One Like You. They had a lot of nice shades in this collection! I love the metallicy route they went! The snowy accents are cute, not sure i could wear it though. I love that blue. I couldn’t wear it again as a full mani, but I will have to try it out in a design! I’m pretty sure Elfin’ Around is my fave! Such a fun shade and the name is adorable! It’s a nice change of pace for the red families! These are alll so pretty but I’m partial to So Blue Without You. Great collection! Loving So Blue Without You!